The iPhone XR has arrived to stun our senses with a host of features such as the Liquid Retina Display, a faster Face ID, and the powerful A12 Bionic Chip. Whether it’s that picture-perfect portrait shot or a jaw-dropping HDR picture, the cameras of this iPhone too will continue to stun you with their brilliance. Thus, when you have the iPhone XR in your hands, you can only see beauty, in every way. What does the display of the iPhone XR smartphone have in store for you? 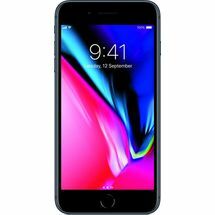 Its advanced 15.49 cm (6.1) Liquid Retina Display along with an innovative backlight, allows the screen to stretch to the corners, thereby exposing you to colorful visuals from one edge to another. It also packs the punch of enhanced color accuracy and a wide color gamut for delightful visuals. Get set to be stunned by this phone’s design, as it comprises one of the most durable front glass. A special Apple-designed alloy has been utilized to make the structural bands, so as to complement the look of the back glass. You can unlock your phone and log in to various applications with just a glance, thanks to this phone’s advanced and fast Face ID Technology. From incredible portraits with depth control to augmented reality experiences, the A12 Bionic chip will make your smartphone experience, truly delightful. The iPhone camera has always been the center of all attention, and with the iPhone XR, the stunning cameras (12 MP Rear Camera, 7 MP Front Camera) are accompanied by an innovative sensor and Neural Engine to capture memories like never before. With a single-lens camera and machine learning technology, your pictures will be captured with you being in focus. The Bokeh Effect adds a sophisticated background blur to your image. What’s more? You can also adjust the depth of field on your portrait images after you have shot them. With the presence of new secondary frames, faster sensors, and the powerful A12 Bionic chip, your HDR images, taken from the rear camera, will be enhanced with more highlight and shadow. With the presence of a Wide-angle Lens (f/2.2) and a Portrait Mode with Depth Control, the 7 MP Front Camera offers the perfect canvas for capturing moments. 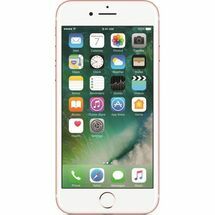 This iPhone comes with an internal memory of 64 GB. Its built-in rechargeable lithium-ion battery paves the way for a seamless battery performance. 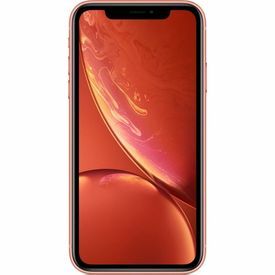 Product Description The iPhone XR has arrived to stun our senses with a host of features such as the Liquid Retina Display, a faster Face ID, and the powerful A12 Bionic Chip. Whether it’s that picture-perfect portrait shot or a jaw-dropping HDR picture, the cameras of this iPhone too will continue to stun you with their brilliance. Thus, when you have the iPhone XR in your hands, you can only see beauty, in every way. 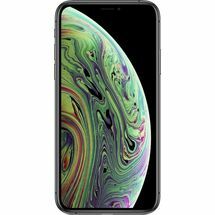 Liquid Retina Display - Beauty Awaits Your Eyes What does the display of the iPhone XR smartphone have in store for you? 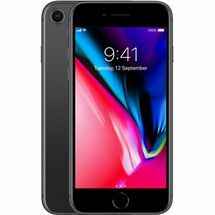 Its advanced 15.49 cm (6.1) Liquid Retina Display along with an innovative backlight, allows the screen to stretch to the corners, thereby exposing you to colorful visuals from one edge to another. It also packs the punch of enhanced color accuracy and a wide color gamut for delightful visuals. Exceptional Design - Feel It to Believe It Get set to be stunned by this phone’s design, as it comprises one of the most durable front glass. A special Apple-designed alloy has been utilized to make the structural bands, so as to complement the look of the back glass. 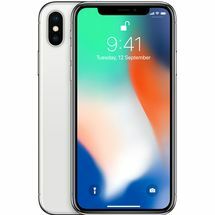 Advanced Face ID - Your Files Will Be Just Yours You can unlock your phone and log in to various applications with just a glance, thanks to this phone’s advanced and fast Face ID Technology. The A12 Bionic Chip - The Smart Bite From incredible portraits with depth control to augmented reality experiences, the A12 Bionic chip will make your smartphone experience, truly delightful. 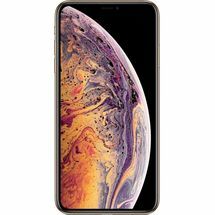 Camera System - A New Era of Photography The iPhone camera has always been the center of all attention, and with the iPhone XR, the stunning cameras (12 MP Rear Camera, 7 MP Front Camera) are accompanied by an innovative sensor and Neural Engine to capture memories like never before. Portrait Mode - All Attention Is on You With a single-lens camera and machine learning technology, your pictures will be captured with you being in focus. The Bokeh Effect adds a sophisticated background blur to your image. What’s more? You can also adjust the depth of field on your portrait images after you have shot them. Smart HDR - A Picture with Good Highlight With the presence of new secondary frames, faster sensors, and the powerful A12 Bionic chip, your HDR images, taken from the rear camera, will be enhanced with more highlight and shadow. TrueDepth Camera - Ready, Pose, Click With the presence of a Wide-angle Lens (f/2.2) and a Portrait Mode with Depth Control, the 7 MP Front Camera offers the perfect canvas for capturing moments. 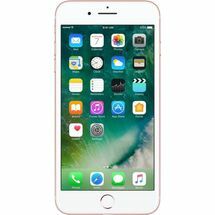 Other Features - There’s More to What You Can See This iPhone comes with an internal memory of 64 GB. Its built-in rechargeable lithium-ion battery paves the way for a seamless battery performance.